On Feb. 17, students from the Walker School of Business & Technology met face to face with recruiters seeking interns for the spring and summer the WalkerEDGE Spring Internship Fair, co-hosted by the School of Business & Technology and Career Planning & Development Center. Organizations recruiting included: Abstrakt Marketing Group, Aspect Software, Clarus Communications, Edward Jones, Fitness Plus Equipment Services, Inc., KPMG, Maritz Motivation Solutions, New Balance Athletics, Northwestern Mutual Life Insurance Company, Wells Fargo Advisors and Wyman Center/Inspire STL. 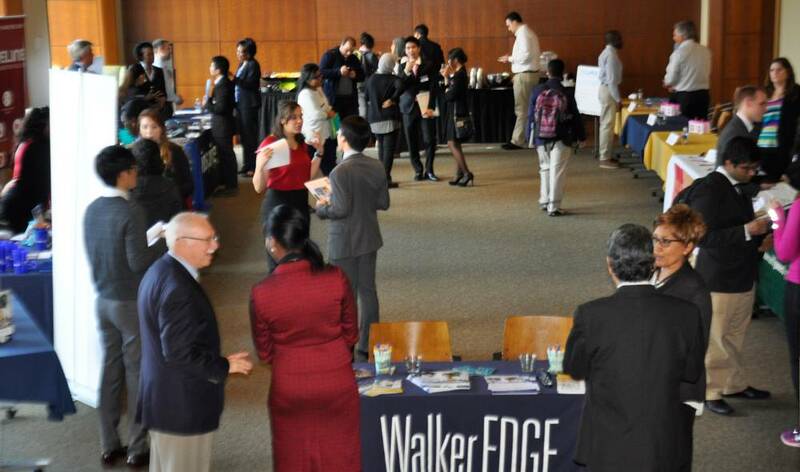 Students from the Walker School of Business & Technology met with 11 organizations at the WalkerEDGE Spring Internship Fair. Students can continue to get up to date information on internships for spring and summer as employers post opportunities in GorlokJobs, Webster University’s online career management and recruiting system.